Much has been written about Walmart’s $21 billion acquisition of Flipkart — some have called it Walmart’s gateway to its India ambitions, while others have called the purchase the coming-of-age of the Indian startup space. But Aswath Damodaran, professor of finance at NYU Stern School of Business, has distinctly unique take on the record deal. “More value is destroyed around the world by the companies when they do not act according to their age. Young companies tried to act old and the old companies are trying to be young again. There is entire ecosystem which feeds these companies—consultants, bankers and more, I call them plastic surgeons of business,” he said, adding that the companies continue with their acquisition plans with this notion over and over again. Damodaran knows a thing or two about business — he’s among the world’s best-known finance professors, and his book on valuation has become a bit of a Bible in financial courses. He also has a prediction about how the deal will pan out. “Like all facelifts, gravity works its wonders and three years from now, Walmart will be asking what we can do next,” he says. It’s a pretty sobering take on what was being hailed as the deal that would come to define India’s startup ecosystem. 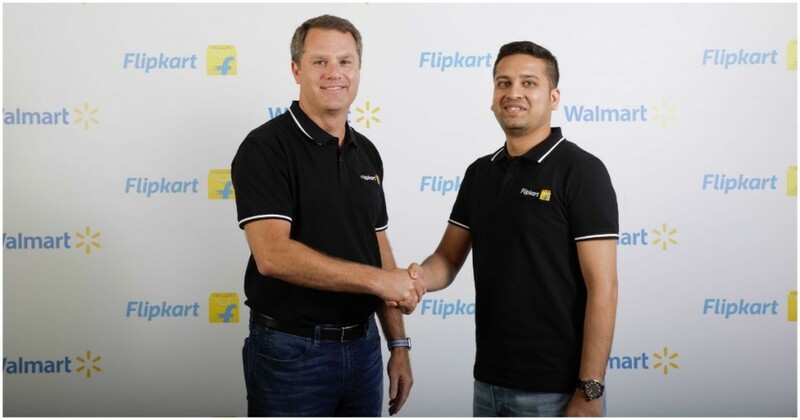 Walmart’s acquistion of Flipkart had been the biggest deal in Indian startup history, and was thought to signal that the country’s fledgling startup scene had finally come of age. But apart from Damodaran’s bleak outlook, there have been signs that the deal hasn’t gone exactly to plan. For starters, Flipkart cofounder Sachin Bansal quit when the deal was announced, leaving Binny Bansal in charge as Chairman. But barely a few months into the deal, Binny Bansal quit after Walmart discovered that he hadn’t made adequate disclosures in a case which involved an affair with a former Flipkart employee. And Walmart had more bad news to deal with — months after the deal was completed, Amazon has finally caught up with Flipkart in terms of GMV. Five years after it entered the Indian market, Amazon finally beat Flipkart in terms of gross sales for the year ended March 2018, registering sales of $7.5 billion, compared to $6.2 billion generated by Flipkart. Walmart, thus, doesn’t only have to contend with managing a company whose founding team has left, but is also being left in the lurch by the biggest e-commerce player in the world. Given how Walmart’s already spent $21 billion in acquiring Flipkart, it’s likely that it’ll keep pumping money its way for the foreseeable future. But time alone will tell if the investment will prove to be worth it for the Bentonville-headquartered retailer.